However, you also probably know that it takes more than just word-of-mouth referrals to build a successful brand in a competitive market. Enter the concept of inbound marketing and its plethora of cost-effective digital marketing tools. First, let’s take a look at how social media can boost your brand and build your credibility. • You can interact in real time. With social media platforms, you can share relevant information at the very moment it becomes, well, relevant. For example, you’re an HVAC company, and there’s a heat wave in the forecast! Let your fans know! In addition, you can also respond to customer compliments and concerns (i.e. complaints) immediately, a proven way to build trust and interact meaningfully with clients. • Social media gives your “findability” a huge boost. Studies show that there are more computerized devices on the planet than there are people. And, with the line between “virtual” reality and actual reality becoming blurrier by the second, if your business isn’t easily found online, you’re leaving a whole lot of money on the table. On that note, it’s a great idea to embrace other online marketing tools like Google+ and local review sites, such as Angie’s List and Yahoo! Local. • Social Media is an amped-up version of word-of-mouth. Just think of the reach that each individual user has via their social media platforms. The average Facebook user has around 150 “friends,” and happy customers love to give referrals. And, hey, no need to be shy—it’s perfectly ok to ask your fans and customers to post your praises. The result? A free way to attract new clients. Now, what if you have the social media game on lock, and, what you really need is some fine tuning for your marketing strategy? Let’s continue with our HVAC case study. If this is your business, or, if you’re in any local services industry, you likely have a two-pronged marketing focus: a smart follow-up system and seasonal promotions that meet customer needs. • Implement seasonal promotions based on heating and cooling needs and discounts for other maintenance services or new installations. These promotions and discounts will ensure customer loyalty and satisfaction. You can blast these on your social media pages, but be sure to set up specific landing pages. • Direct your social media traffic some place that is specifically set up for those visitors. On your website, build in landing pages and calls-to-action that require a visitor’s contact information in exchange for a discount, etc. 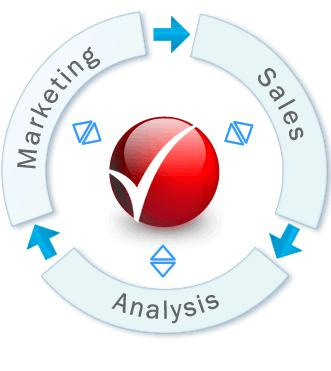 • Implement e-mail marketing campaigns for lead nurturing. Continuing to interact with potential customers via useful and thoughtful e-mail content can provide a sense of trust and familiarity, prompting prospects to then make purchases. Lead nurturing systems have been shown to reduce the sales cycle by nearly 25%! Really, these ideas are just a fraction of the marketing tactics that PCR can help you implement. We’d love for you to check out our client portfolio and set up a free consultation.